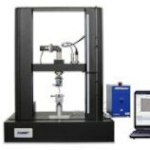 Dual column Universal Testing machines designed for users who want the power of a full-size system with the versatility to test variety of materials, parts, and devices. The eXpert 2600 series testing machines tackle the toughest tests with their superior axial alignment, stiffness, and crosshead guidance. A simple design allows for lower cost, faster delivery, and years of maintenance free operation. 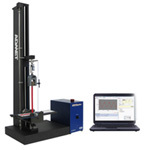 All eXpert systems are capable of performing compression tension, and flexure tests. Taller, shorter, wider, faster, slower: Our engineering group will configure a design to meet your specifications. 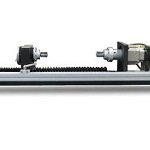 A second actuator can also be added for performing biaxial tests. 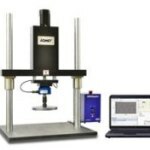 Bench top models from 2kN to 50kN provide the flexibility to test adhesives, biomaterials, elastomers, metals films, packaging, plastics, textiles wire and other materials with confidence. 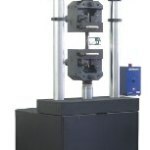 Floor standing models from 50kN to 200kN feature wide column spacings to accommodate large specimens, larger grips and fixtures, temperature chambers, special test fixtures and full-size parts. 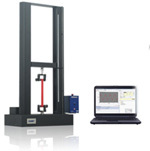 Exceeds all ASTM/ISO accuracy requirements. 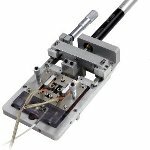 Fastest in the industry, an 8kHz servo loop rate ensures accurate, repeatable, and reliable testing. All testing systems are supported for life. 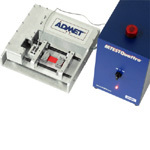 All ADMET Testing Machines can be equipped with one of two closed loop servo controllers. 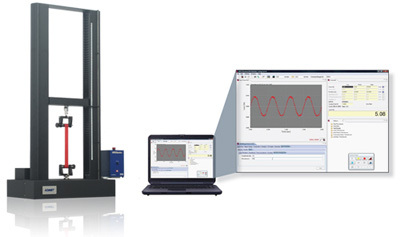 MTESTQuattro, our most advanced testing system, is a PC-based controller that offers a wide range of flexibility in control, data acquisition, analysis, and report. The eP2 digital controller, a standalone touch panel unit, offers a balance between performance and simplicity. Both controllers feature 8kHz servo update periods and programmable log rates to 1kHz.